There I was on the beach (cash in my pocket, just in case!) and I walked past a fisherman packing up for the day. He dug out 8 beautiful fresh herring for me and into the pan they went on my return home to my family. Here are some ideas for how to prepare the fish! Just 5 minutes long. 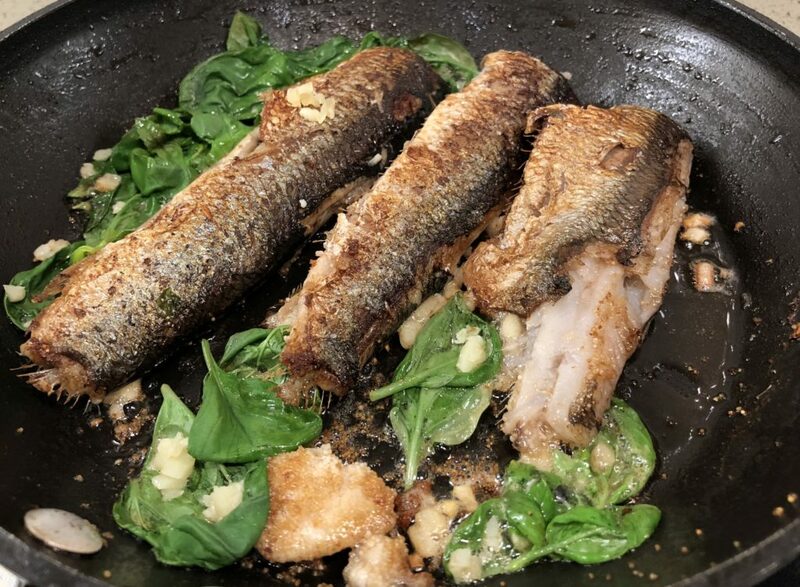 Here were the fish cooking up a nice crust in the pan! Enjoy! And see you next week.